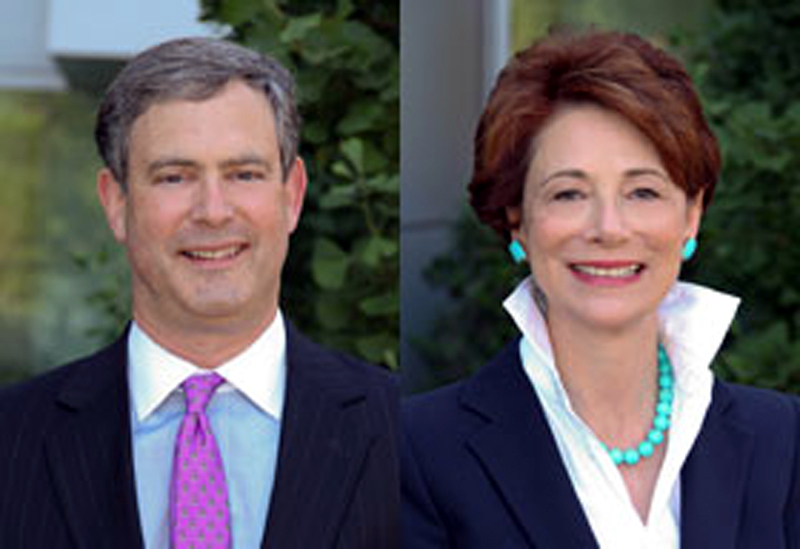 Children’s Hospital Los Angeles has announced the election of Cathy Siegel Weiss and Theodore R. “Ted” Samuels as co-chairs of the hospital’s Board of Trustees. They succeed outgoing board Co-chairs Marion Anderson and Jack Pettker. A member of the Board of Trustees since 2002, Weiss is the former vice chair of the Board and serves as chair of the Safety, Quality and Service Committee. She also serves on the Executive, Advancement, Compensation, Strategy Advisory and Governance Committees. Weiss and her husband, Ken, are founding members of the Children’s Fund 100, reflecting their commitment to one of the hospital’s key fundraising programs. In the private sector, Weiss is a principal at Shaker Square, a family investment company engaged in acquiring, financing, developing, leasing and selling industrial, commercial and flex space properties. Weiss is the immediate past chair of the Jewish Community Foundation of Los Angeles (The Foundation). A former entertainment lawyer, Weiss holds a bachelor’s degree from Stanford University and a law degree from the University of California Hastings College of the Law. She and Ken, who works in real estate development, live in Beverly Hills and are the parents of four grown children. Samuels has been a member of the Board of Trustees since 2004. He chairs the Governance Committee and is vice chair of the Finance Committee. Samuels also serves on the Executive, Advancement, Strategy Advisory and Compensation Committees. He and his wife, Lori, are members of the First Families Legacy Program and Children’s Fund 100, two of the hospital’s core fundraising initiatives. Samuels is president of Capital Guardian Trust Company and he and Lori serve as co-chairs of the Harvard College Parents’ Fund. Samuels also is a trustee of Polytechnic School in Pasadena and a former president of the Board of Trustees of the Chandler School. He received his Bachelor of Arts and Masters of Business Administration from Harvard University, and he and Lori reside in Pasadena with their three children. Children’s Hospital Los Angeles has been named the best children’s hospital in California and among the top five in the nation for clinical excellence with its recent selection to the prestigious US News & World Report Honor Roll of best children’s hospitals. Children’s Hospital Los Angeles is home to The Saban Research Institute, one of the largest and most productive pediatric research facilities in the United States. The hospital is also ranked among the country’s premier teaching hospitals, and has been affiliated with the Keck School of Medicine of the University of Southern California since 1932. For more information, visit www.CHLA.org.